The bonuses of Wells Fargo's topmost executives are on the chopping block as the bank continues to dig out from its fake account scandal. Wells Fargo's board of directors is expected to soon decide to eliminate annual bonuses for CEO Tim Sloan, Chief Financial Officer John Shrewsberry and other senior executives, a person familiar with the matter confirmed to CNNMoney. The board's deliberations on compensation come four months after Sloan took over for longtime CEO John Stumpf, who abruptly retired and forfeited $41 million in stock awards as the crisis mounted at Wells Fargo. A decision to forgo bonuses shouldn't be interpreted as a sign that the current top execs have been found to be at fault in the bank's fake account scandal, the person said. Instead, the compensation moves are linked to holding Wells Fargo management accountable for the bank's overall performance. Wells Fargo has reported a dramatic decline in consumer checking account openings in recent months. The bank's most recent quarterly profits shrank and it's now looking to shut more than 400 branches. Wells Fargo (WFC) declined to comment on the compensation news, which was first reported by The Wall Street Journal. After Sloan took over, he was left with fixing the worst banking scandal in the U.S. in years. Wells Fargo's creation of millions of fake accounts and alleged mistreatment of workers sparked Congressional hearings, hurt employee morale, damaged the bank's reputation with customers and caused countless state and federal investigations. "We've got a very proud history, but we've made some mistakes," Sloan said on Wednesday while appearing at the Yahoo Finance All Markets Summit. Sloan called Stumpf a "friend" and a "fine man," adding that he wishes the longtime CEO "all the success in the world." But Sloan said Stumpf's decision to step down was the "right thing for the company" because it allowed Wells Fargo to move forward. "He'd be the first to admit he made mistakes," Sloan said. Now that he's in charge, Sloan's focus is on rebuilding trust and making sure "something like this never happens again." Sloan's 2016 compensation hasn't been released yet, but the Wells Fargo boss made $11 million in total compensation in 2015. That included a base salary of $2 million, bonuses and long-term stock rewards. "I have the greatest job in the world. It's an honor to be the CEO of Wells Fargo," Sloan said. 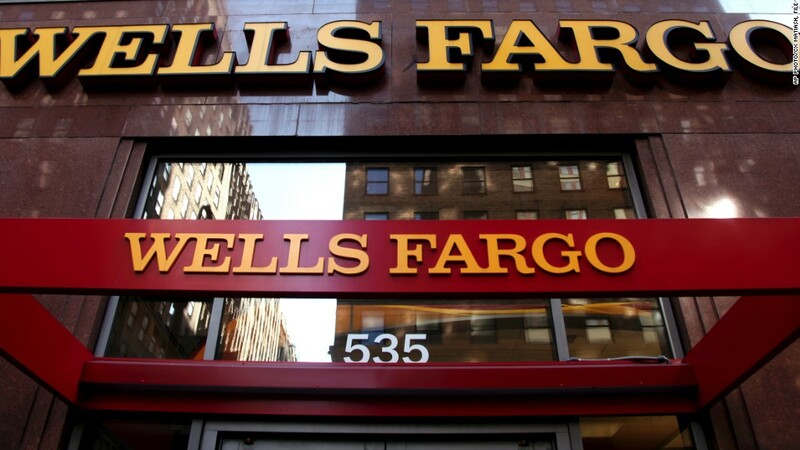 Shareholders and employees are anxiously waiting for the conclusion of an independent investigation into Wells Fargo's sales tactics that's being conducted by the bank's board. The probe and full results aren't likely to come for several months, but preliminary findings could be released sooner, the person familiar with the matter told CNNMoney. The board's investigation has been previously described as "massive," involving "many dozens" of lawyers from Shearman & Sterling, the law firm hired to assist the investigation. Wells Fargo Chairman Stephen Sanger has promised the review will "follow the facts wherever they lead" and indicated it could result in more punishments for former and current executives.